After the Australian Government introduced new GST laws halfway through 2018, Amazon's US store blocked Aussie shoppers from ordering items listed on the American storefront. However, the online retail giant has now reopened its virtual gates to those of us Down Under. Before July 1, 2018, Australians didn't have to pay the country's Goods and Service Tax (GST) on items purchased internationally, but when that change was put in place, Amazon.com imposed a ban on shipping its goods to Australia. When visiting the page, Aussies were instead taken to the somewhat-fresh "global store" section on Amazon Australia page for their shopping, but that has only a fraction of goods listed from the international option. However, Amazon has gone back on its initial decision, just in time for Black Friday 2018, meaning Aussie shoppers can make the most of the US store's bargains and discounts. The reversal came as "a result of customer feedback", according to Amazon, which could include then-treasurer Scott Morrison's comments on the company's decision to "take their bat and ball and go home". Customers were upset with the "Amazon tax", as it was colloquially known, and were equally as unhappy with the response from the retail giant. 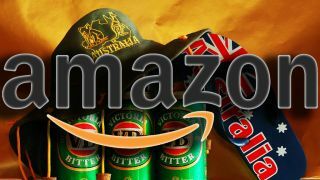 But, considering the unlikelihood of the Australian Government changing its policy, it was up to Amazon to make amends (and earn bucket-loads of cash in the process).